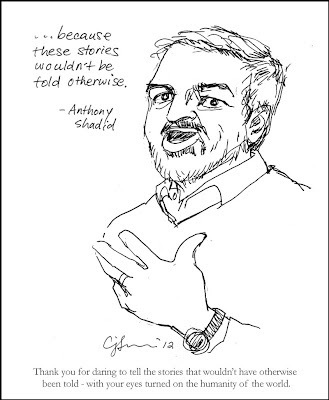 I attended a panel at the Columbia J-School last night where fellow journalists took a few moments to remember and pay tribute to the generosity, caring, and insight that Anthony Shadid demonstrated in life and in his reporting. My heart goes out to his family. 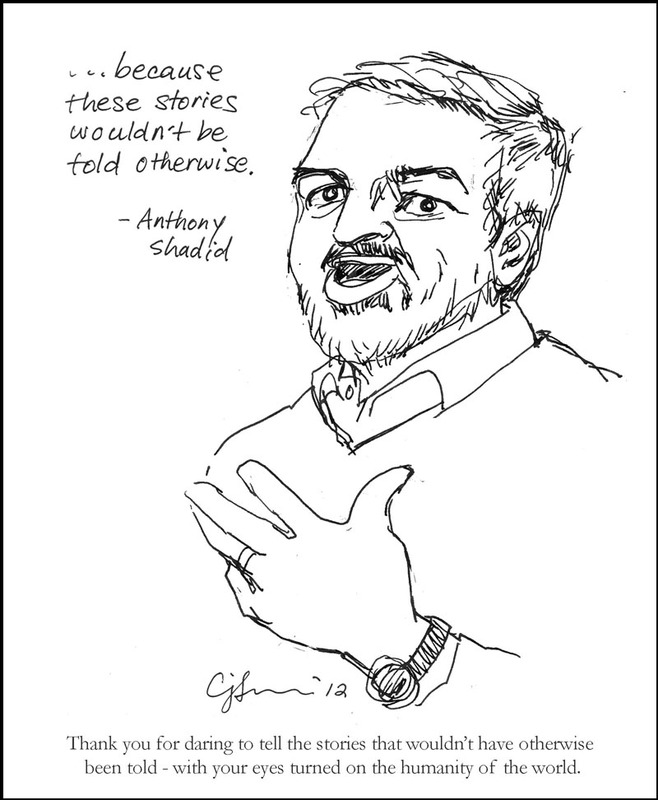 In his interview with Terry Gross back on NPR's Fresh Air back in December, he said that it's important for journalists to be out there "especially as events unfold around us." He went on to say that there are "so fewer people who do [war reporting] these days -- compared to 15 years ago -- that it takes on even greater importance."